The Staff Are Like Our Campers... Or Are They? This is a post from the newly made up, “We can disagree, but still care about each other.” column. We are making t-shirts, hopefully, to be slyly given to everyone in America. The it starts with my hot take followed by a couple different perspectives. If you like this kind of article, with different points of view and perspectives comment below. Let’s get into it! OH! There is some light cursing under the heading, “They Said” at the beginning of the article. Camp directors often say, “The staff are like our campers.” I get where they are coming from, and I would never say that. I think the thought process is that as camp directors or leaders we need to take care of our staff the same way we ask our staff to take care of their campers. We need to put as much work into making sure they are doing well as we ask them to do for the kids. This is admirable and something I can get behind. However, I think the phrasing can come off as patronizing. Two things are certainly true. They like to curse via text. They may be a little more rebellious and more likely to dislike this idea than most. “The staff are like our campers.” comes from a very good place, but I think it misses the point. As camp directors, we clearly love the campers and so treating our staff like campers means treating them with love, but it also has the connotation that we are treating them like kids. Maybe that is what camp directors are saying when they say that. I don’t think so, but maybe. I am not interested in treating summer staff like kids or assuming that they will act like children. 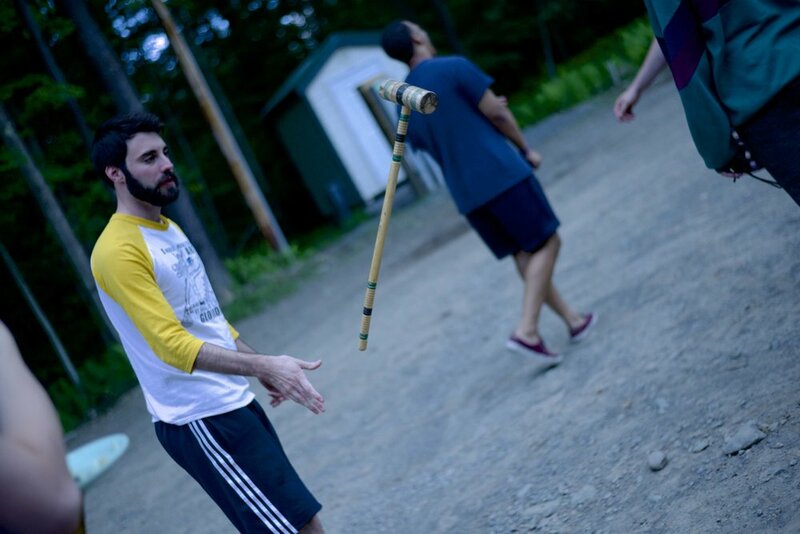 At camp, we put a huge amount of trust in our staff. They have to both be childlike and playful and at the same time some of the most responsible young adults you can imagine. We, as camp pros, make arguments all the time about how great a growth opportunity it is to work at camp as compared to internships or other jobs. I don’t think most camp directors mean they want to treat their staff like kids when they say “The staff are like my campers”, but it can be how many staff take it. Maybe even more than that, I think these words have power and when we say things like “The staff are like my campers” it can lead to a culture where we may not mean to, but we encourage a larger divide between our leadership staff and the staff they supervise. That it leads to more of a power over dynamic than a partner with relationship. Also, I realize this is a hot take and was chatting with some other folks in The Summer Camp Society looking for some different perspectives. Here are some of their thoughts. While I see that some counselors might find this language condescending, I also think that it can be useful when used well. Working at camp can be pretty intimidating for a first-time counselor (maybe a counselor of color at a mostly white camp, a counselor who used to be camper and is really nervous about trying to live into the role of the counselors who he used to hero-worship, or a staff member who is in the US for the first time to work at your camp). Many camps are facing a challenge of staff members bailing a few weeks before the summer, quitting the first week of camp, or even “ghosting” and not showing up for staff week. Staff members, and those new to camp especially need to feel empowered to bring their crazy ideas, take the lead in potentially dangerous situations, and be the “grown-up” for nervous campers. I think perhaps the best way to help these new staff members become their most empowered selves is to give them support and help them feel like they belong-- two jobs best done by the camp counselors. The very best camp counselors feel the weight of their responsibility. Maintaining a physically and emotionally safe environment for a group of about 10 children (while canoeing/ camping/ battling dragons) is no joke. However, the weight of this responsibility can sometimes cause good counselors to experience anxiety or make it hard for them to let loose and be silly. In telling my camp counselors that they can think of me as their counselor, I hope to take off some of that weight. When a camper comes to them and makes a disclosure of abuse, I want them to be able to cry about it with me if they need to and know that I will take it from there. If they get a call from home that their dad is sick and they need to travel home, I don’t want them to feel bad asking me for the time off. If a friend from home is texting them with thoughts of self-harm, I want them to know they can talk to me and I will find someone to cover their cabin while they help their friend. I agree with my colleagues who say we want to be “partners” with our staff rather than condescending or paternalistic. But in much the same way that campers don’t have the same level of responsibility for camp that their counselors do, camp counselors don’t have the same level of responsibility for camp that the camp director does. When I tell my staff they can trust me and use me as their “camp counselor” if they need to, I hope that it relieves them from feeling like they need to know all the answers right away. If we consider the camper/counselor relationship to be “disrespectful” or “condescending” when applied to adults, what does it say about how we are treating our campers? I can see where this phrase would come from and why a Camp Director might choose to use it. We want what is best for the staff and we know that we need to provide a level of support to them in order for them to be successful. But I think this phrase also comes from a level of selfishness. Camp Directors and leaders got into this industry because we loved camp, we loved having a group of kids who saw the potential in us, who joined in on our fun games. And it’s really hard to give that up as you move up the ladder at camp. So in some ways I think claiming the staff are our campers is just our way of still clinging to the desire to have our own groups of kids. And that’s not fair to us and it is especially unfair to the staff. Because they are not our campers, they are not here to blindly follow us and our activities. We have hired them to make good decisions, to be responsible for their own groups of campers. We hired them to push back when something doesn’t make sense, to let us know when there is a better or safer way to do things. Or a better way to connect with the current camper trends and interests. 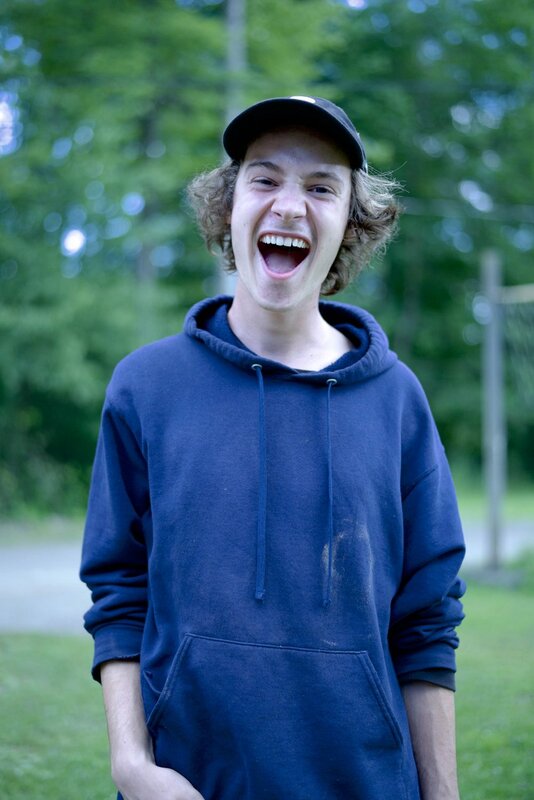 The staff are not our campers, they are our camp staff. At its best, I like to think of camp as a potential antidote to a lot of what’s not-so-great with the rest of the world. I think one of those not-so-great things is that young adults are very used to being treated like children, and having the low expectations of children put upon them. At camp, we ask for so much more. Not only are the counselors not the children, but they are entirely responsible for every aspect of the children’s camp-life, and we hold them to standards that would never be expected from a child. We ask for 24-hours-a-day of solid decision making, responsible judgement, endless energy, boundless creativity, and ever-diligent compassion all wrapped up with imperviously buoyant morale. It might be more than has ever been asked of them, and it’s why so many staff take such pride and joy in clearing the bar and “accomplishing camp.” Being a counselor at summer camp might very well be the most adult, least-childlike thing they have ever done. This can be a tough idea for those of us at camps where a large percentage of our campers matriculate onward to become counselors; it can be harder not to think of a staff member as your camper when they literally were your camper a matter of months earlier. And, in reality, our counselors are the highest evolution of what we hope for from our campers - they’re often the best examples of our program’s long-lasting positive effects, and a personification of the promise that the program will continue to produce those effects in the future. 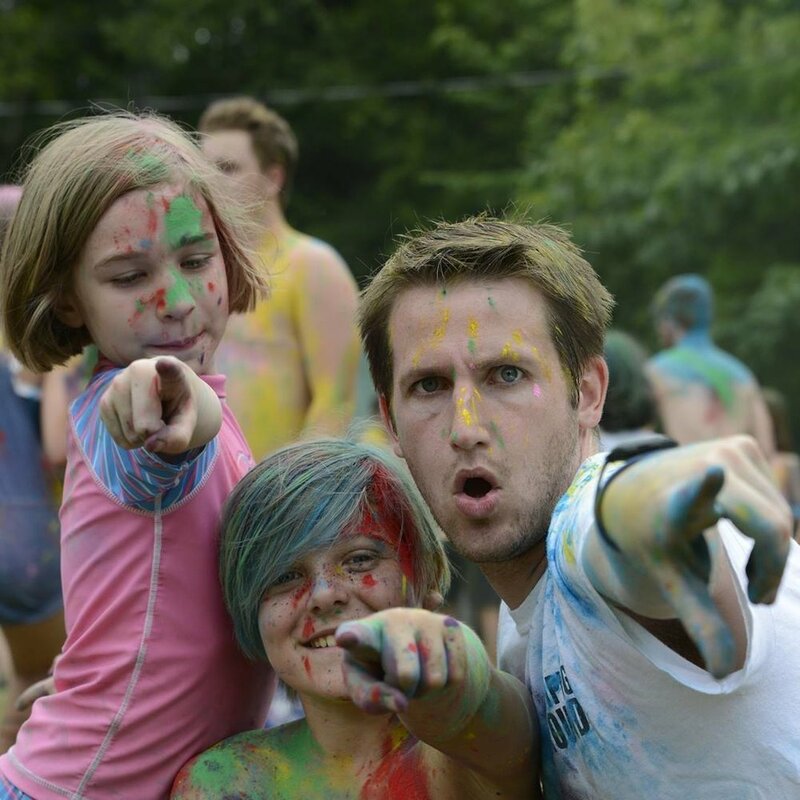 Yes, for directors, our counselors might totally be our kids: our oldest, most trusted and esteemed campers. But perhaps we shouldn’t spend too much time explicitly telling them that. THANK YOU ANNA, BEN, AND KATRINA!